Foreign Minister Nasser Judeh of Jordan (right), is congratulated after his country was elected by the General Assembly as a non-permanent member of the Security Council. The United Nations General Assembly has elected Jordan as a non-permanent member of the Security Council to fill a seat that Saudi Arabia had, in an earlier election, won but declined to accept. Jordan, endorsed by the African and Asian regional group, was elected to serve on the Council for two-years beginning on 1 January 2014. The country will be seated alongside Chad, Chile, Lithuania and Nigeria, which the Assembly elected on 17 October. Saudi Arabia was also elected in the October vote, but shortly thereafter began to signal it would not accept the position. In a 12 November statement annexed to a letter from the Ambassador of Saudi Arabia to UN Secretary-General Ban Ki-moon, the Saudi Foreign Ministry formally confirmed that stance. In that statement, the Ministry apologized for its non-acceptance, explaining that the country could not serve on the Council until the body is “reformed and enabled, effectively and practically, to carry out its duties and responsibilities in maintaining international peace and security.” The Kingdom nevertheless reaffirmed its commitment to the UN and the goals of the Organization. “The Kingdom of Saudi Arabia believes that the manner, mechanisms of action and double standards existing in the [Council] prevent it from performing its duties and assuming its responsibilities towards preserving international peace and security as required, leading to the continued disruption of peace and security, the expansion of the injustices against peoples, the violation of rights and the spread of conflicts and wars around the world,” the statement continues. 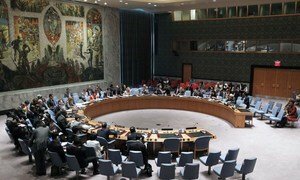 In light of those concerns, Saudi Arabia, “on the basis of its historical responsibilities towards its people, Arab and Islamic nations as well as towards the peoples aspiring to peace and stability all over the world, announces its apology for not accepting membership in the Security Council,” the statement concludes.